Zinedine Zidane has agreed to return to Real Madrid as head coach, according to widespread reports in Spain. It is said the former France star will be confirmed as a replacement for Santiago Solari on Monday at around 1800 local time (1700 GMT). It is unclear whether Zidane will take charge until the end of the season or sign a longer-term contract. Solari has reportedly said his goodbyes to staff at Madrid's Valdebebas training ground, having been expecting to be relieved of his duties following a torrid run of results. 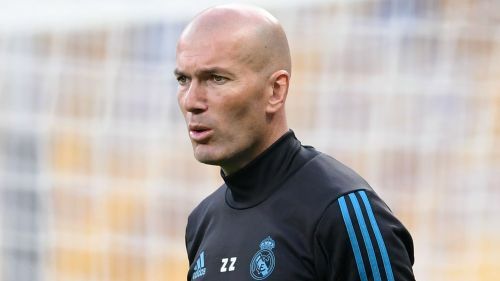 According to an initial report by Jugones, Zidane has been convinced to return by president Florentino Perez despite receiving offers from elsewhere, with Juventus said to be among his suitors. Zidane stepped down last May after winning a third consecutive Champions League with the club he represented for five years as a player. "I am doing this for the good of this team, for this club," he said at the time. "It would have been difficult for me to win again next year. There have been good moments, but also difficult times. I do not forget that. "And at this club, you must know this: I do not want to start a season and have a bad time. I want to end with Real Madrid when everything is going well. I did it as a player, and now again as a coach. This [is] the right moment to end things well." Solari oversaw back-to-back Clasico defeats in the Copa del Rey and LaLiga that effectively ended their chances of domestic silverware this season. Madrid were then humbled 4-1 by Ajax in the Champions League last-16 second leg, ending their three-year spell as European champions. It is thought Solari will remain at the club in another capacity.